I went to Target and Daiso Japan this past week for some things I needed and thought I would share some of my findings. 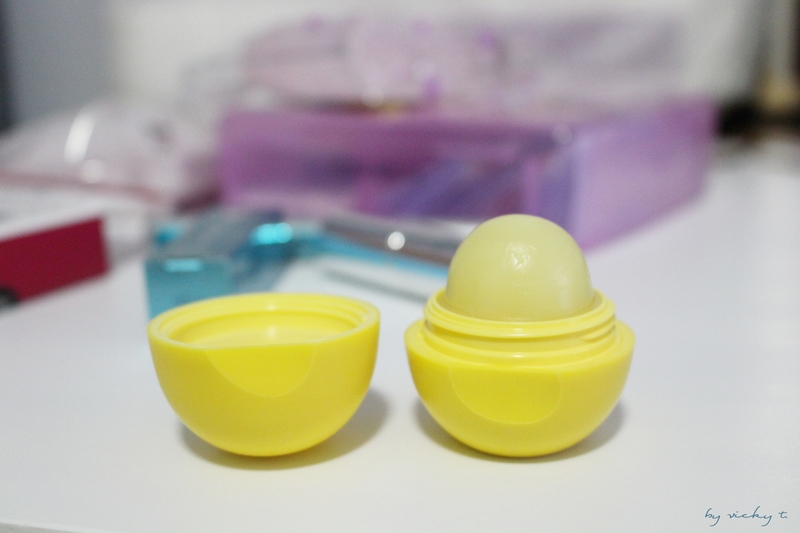 I was out of a lip balm and decided to try this EOS Lip balm that also has SPF 15. I’m a type of person that doesn’t like artificial cherry or grape flavors that reminds me of cough medicine, so I opted for Lemon Drop. The smell reminds me of lemonade which I quite like. 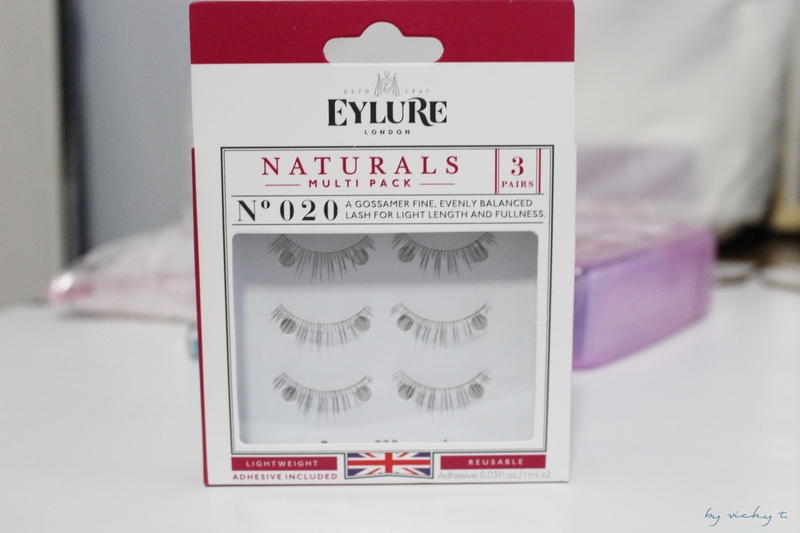 I’ve seen the Eylure Naturals Multipack of lashes for quite some time and finally decided to give it a try. I tried them on today actually and it really does look very natural. Some of the individual lashes appear to be a browner color rather than black and it works very well to achieve a more natural look. 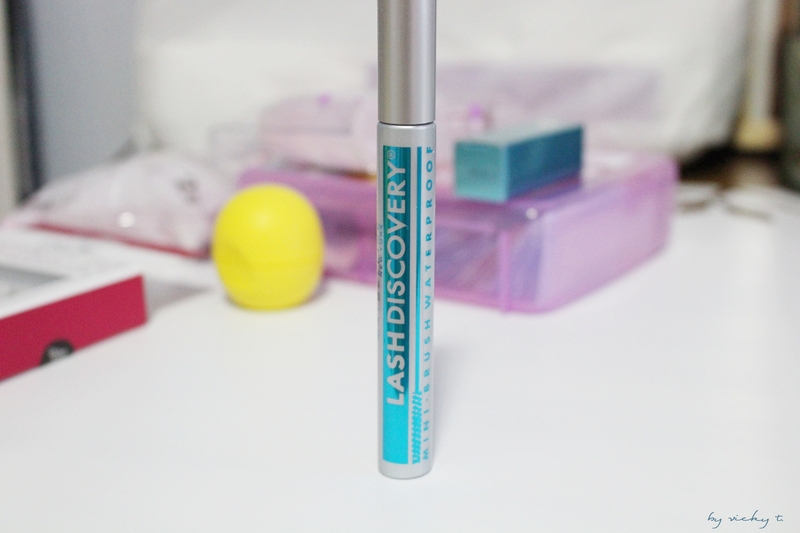 I also needed new mascara and had bought the Maybelline Lash Discovery. The one thing I like about the mascara is it’s very small brush so I could coat all the little lashes that I have. I bought the waterproof one this time since a few years ago I bought the non waterproof one and it didn’t work so well. I’ll be leaving for a trip abroad starting next weekend and had to stock up on some travel essentials that I don’t have. 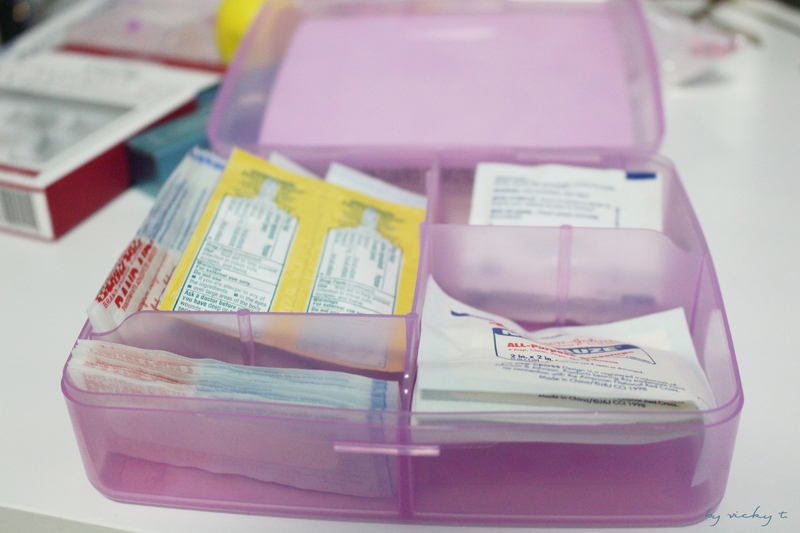 I was going to pick up some bandaids and Neosporin since I’m very accident prone but I saw this little kit on sale for around $5. This has almost everything I’ll need for scratches or clumsy mishaps. Although the kit does seem a bit childish, it will still come in handy. For those that are unfamiliar with Daiso Japan, it’s a Japanese 100 yen store that has expanded into the US. It’s $1.50 for almost everything in the store and it conveniently has a lot of travel items. 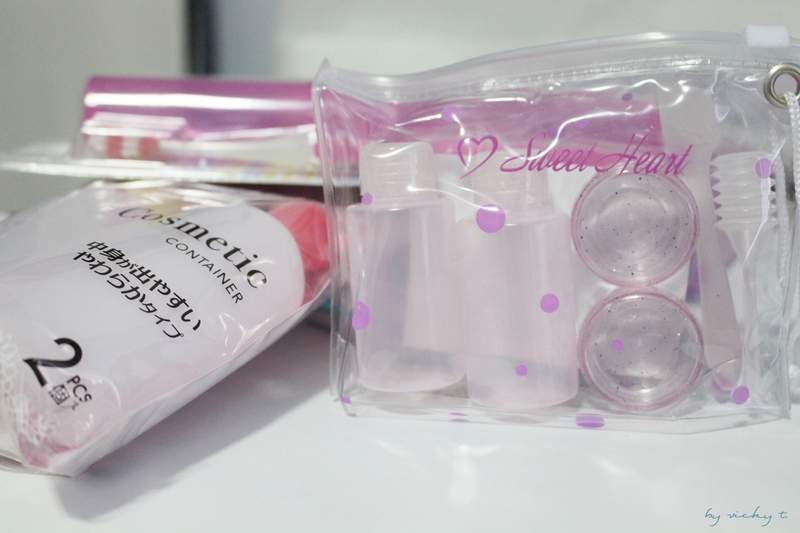 I went there mainly to buy cosmetic containers/bottles, and a toothbrush case. I’ll probably be returning this coming week for any miscellaneous items I might be missing for my trip. Of course as I start to pack this week, I’ll probably find some things I’m missing and would need to go shopping again. Hope everyone is having a great weekend! 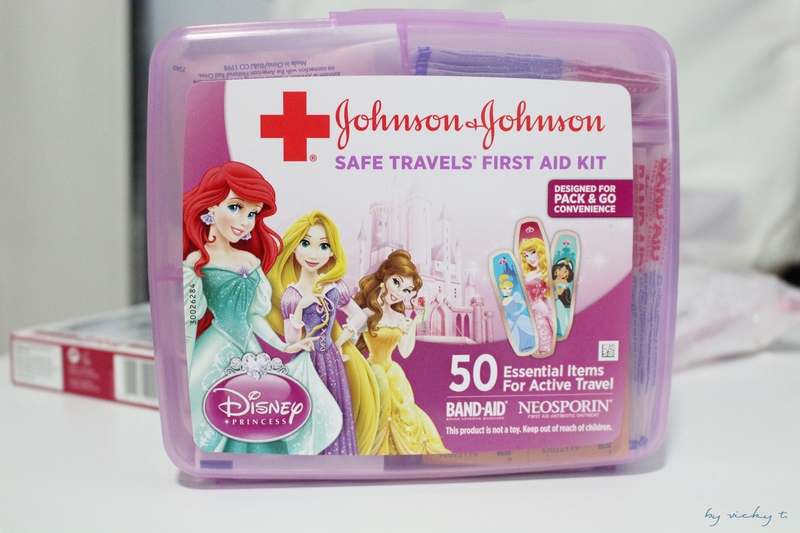 The disney princesses bandaid kit is so adorable, reminds me of preschool haha! OH and those lashes look so nice, perfect for us lash challenged people lol. Love the lashes. I love going to Daiso. So many cute things to buy. 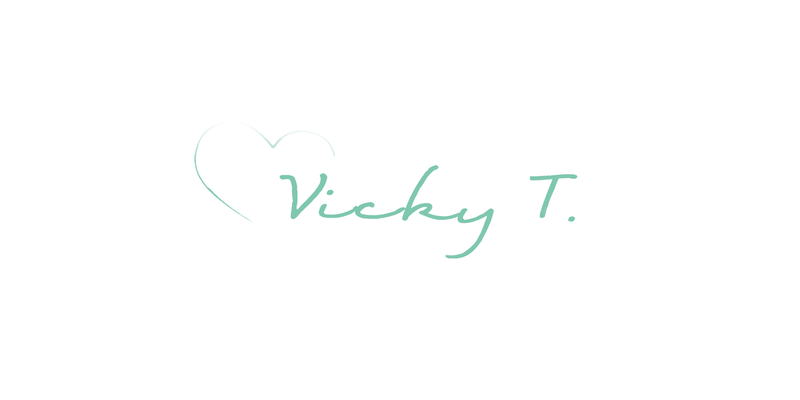 Hey Vicky! Omg those disney band-aids are beyond cute… makes me want to just put some on without even being hurt haha. Ooh I bought some other eyelashes recently and exactly my problem they didn’t look so natural! Will definitely try your recommendations out next time. Keep up the posts! Haha OMG those band-aids are the cutest! 😀 Do they have Elsa and Anna? I love those little bottles from Daiso! 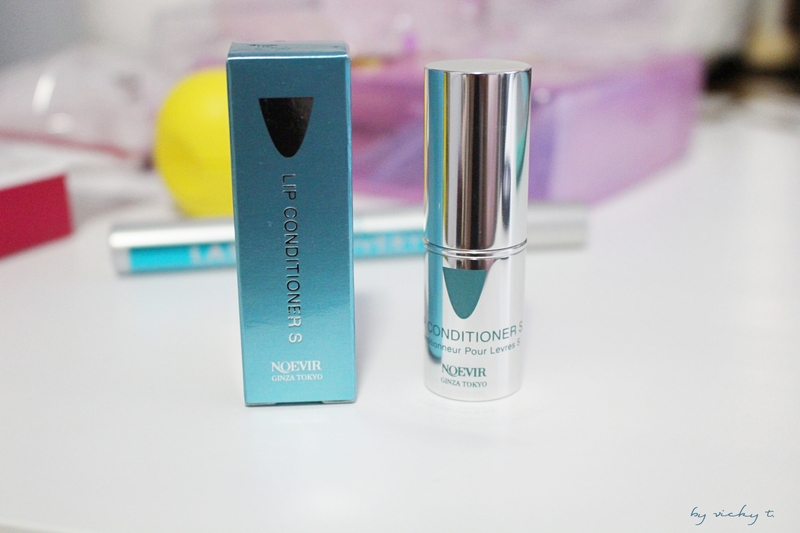 They are perfect for travelling. I will have to go look for those in the Sydney Daiso. Haha they’re so convenient and cheap too! I hope you enjoy your travels hon!! Lashes look fab, btw. I picked up Volume ones from Eylure earlier and used them at the weekend for my hub’s birthday celebration. They looked amazing!